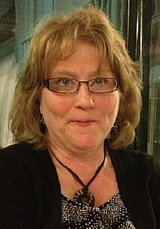 Traci Ann Senger, 43, of Burnsville, Minnesota, passed away Friday, February 17, 2012, at Fairview Hospital, Burnsville. Traci was born October 15, 1968, in Fisher, Minnesota, to Larry and Mary Don (Hoaas) Krostue. She grew up in Fisher where she graduated from Fisher High school in 1987, She later attended Thief River Falls and Bemidji Tech Schools. She worked as a dental assistant for Dr. John Mosher. On October 28, 1995, she married Peter Senger in Bygland Lutheran Church. They later moved to Burnsville Minnesota, where she worked for Orthodontics Specialists, and in 2002 she began working for Wellpoint Insurance, currently as manager of Professional Review. Traci is survived by her husband, Peter Senger, daughter, Hunter Senger, son, Clay Senger all of Burnsville, Minnesota; parents, Larry and Mary Don Krostue, Fisher, Minnesota; brother, James (Maxx) Riverton, WY; mother-in-law, Bernice Senger, Fisher,MN; grandmothers, Tudy Krostue, East Grand Forks,MN, Arlene Hoaas, Crookston, Minnesota, many in-laws, aunts, uncles, nieces, nephews, and cousins. Preceding her in death was her father-in-law, Peter Senger, and grandfathers, Gunder Krostue and Lester Hoaas. Milton Stai, age 73, of East Grand Forks, Minnesota, passed away on Wednesday, August 25, 2010 at his home under Hospice Care. Milton Oscar Stai was born on November 19, 1936, in International Falls, Minnesota, the son of Oscar and Martha (Koppang) Stai. Milton grew up and attended school in Bemidji, Minnesota, graduating from Bemidji High School. Milton worked with his father Oscar at B Square Builders. On July 29, 1961 he was united in marriage to Beverly Larson in Kennedy, Minnesota. In 1972 he moved to East Grand Forks, Minnesota, and worked for Plywood Dakota. In 1982 he began employment at the University of North Dakota, in Grand Forks, North Dakota, where he was a Carpentry Foreman in Plant Services until 2004. Family members who survive Milton include his wife Beverly of East Grand Forks, Minnesota, 2 daughters, Debra (Robert) Schieffer of Moorhead, Minnesota, and Kari (Conrad) Hapka of Grand Forks, North Dakota, 3 grandchildren, Maren & Morgan Schieffer, Mariah Hapka, 4 brothers, Ronald (Darlyne) Stai of San Antonio, TX, Jerry (Carol) Stai of Burnsville, Minnesota, Merlyn (Judy) Stai of Bemidji, Minnesota, and Dean Stai of Hudson Oaks, TX. Milton is preceded in death by his parents, brothers, Allen and Orvin Stai and an infant brother. Milton's family would like to thank Altru Hospice for their wonderful care that was given to Milton. Richard C. "Sammy" Sampson, 72, of Grand Forks, North Dakota, died Tuesday, June 9, 2009 at the Altru Hospital, Grand Forks, North Dakota. Richard Calvin "Sam" Sampson was born December 3, 1936 in Steele City, NE the son of Calvin and Edith (Tripp) Sampson. He served his country in the United States Air Force from 1956 -- 1960. The Air Force is who brought Sam here to the community from Nebraska. He then worked for the Grand Forks Public Schools. He married JoAnn Hagness in Grand Forks, North Dakota, in 1960. He started as a volunteer fire fighter for the city of East Grand Forks, Minnesota. In 1976 he started full time and was also Assistant Fire Chief. He retired as a Fire Fighter in 1996 with more than 20 years serving the East Grand Forks, community. He was a member of the East Grand Forks American Legion Post #157 in which he held all offices in the American Legion. 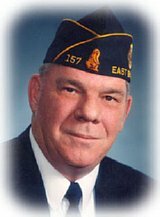 He was very involved and gained a lot of respect in the American Legion and was head of the volunteers in the kitchen until the time of his death. Sam was also a member of the American Legion Honor Guard and also planned all the American Legion Picnic's and most of all enjoyed being Santa Clause many a times. Sam was a very organized, conscientious and attention to detail guy. Sam was a huge Nascar Fan and went to as many races as he could. He also enjoyed traveling to the University of North Dakota, Fight Sioux hockey games. Sam was a good hearted, caring and motivated person who will be greatly missed by all who knew him. He is survived by a son, David Johnson of Halliday, TN; a daughter, Wanda of WA; two brothers, David Sampson of Marysville, KS, and Kent Sampson of Adams, Nebraska. Sam is preceded in death by his parents. Joan Sirek of East Grand Forks, Minnesota, passed away on Saturday, June 13th, 2009 at Altru Hospital in Grand Forks, North Dakota. Joan Vickery was born on July 16, 1949, at St. Vincent Hospital in Crookston, Minnesota, the daughter of James and Ella Mae (Huot) Vickery. Joan grew up in Red Lake Falls, Minnesota, and then moved to Crookston, Minnesota, where she graduated from Central High School with the Class of 1967. Following her high school graduation she attended the Vocational Technical School in Thief River Falls, Minnesota, graduating in 1968. On February 28, 1970, she was united in marriage to Robert D Sirek in Grand Forks, North Dakota. They made their home in East Grand Forks, Minnesota. In 1974, they moved to Grafton, North Dakota, and lived there for 10 years before moving back to East Grand Forks, Minnesota, where they resided until the time of her death. Joan worked as an accountant for Associated Potato Growers for 16 years in Grand Forks, North Dakota. Family members who survive Joan include her husband Robert Sirek of East Grand Forks, Minnesota; children: Scott Sirek of East Grand Forks, Minnesota, Kristie (Chris) Nelson of East Grand Forks, Minnesota, Tammy Burton of Cincinnati, OH, Robert John Sirek of Reynolds, North Dakota, Anthony Sirek of East Grand Forks, Minnesota, and Andrew Sirek of Thief River Falls, Minnesota; one brother: James Vickery of Ely, Minnesota, one sister: Jennifer (Brian) Martin of Fargo, North Dakota; grandchildren: Shelby, Rachel, Seth and Kaitlyn Nelson and Abbigail Sirek. Jean Schindler, 81, of East Grand Forks, Minnesota, died Monday, November 3, 2008 at her home. Jean Schindler was born April 25, 1927 in Grand Forks, North Dakota, the daughter of Fritz and Bertha Peterson. She grew up in East Grand Forks and attended East Grand Forks Schools. She worked for area farmers in the potato fields for a number of years. She married Joe E. Schindler in East Grand Forks, Minnesota, on Jan. 15, 1953. They traveled throughout the United States doing road construction with Collin's Construction. They then moved to East Grand Forks where they owned and operated Giant Wash Laundromat from 1960 to the late 1970's. She then worked for the Ramada Inn and the Westward Ho in Grand Forks for a number of years. She is survived by three children, Ron (Kelly Walker) Schindler of Seattle, Washington, Janice Schindler-Bedford of Mahnomen, Minnesota, and Betty (Larry) Day of Colorado Springs, Colorado; seven grandchildren and three great-grandchild; and special friend Richard Anderson. She was preceded in death by her parents; and five brothers: Earl, Robert, Ralph "Doc", Lloyd and Donald. She was a member of the Sons of Norway and the Grand Forks LDS Relief Society. George E. Stavig, 93, of East Grand Forks, Minnesota, died peacefully on Saturday, March 24, 2007 at the Good Samaritan Center in Larimore, North Dakota, under the care of nursing home staff and Hospice of the Red River Valley. George was born on February 10, 1914 in Sandsville Township of Polk County, Minnesota, to Christian and Caroline Stavig. He lived on a farm with his parents and siblings near Alvarado, Minnesota, and attended rural school. On January 17, 1937 he married Carrie Olivia Nelson. George made his career managing grain elevators. He managed the Hadler Elevator in Ada, Minnesota, the Farmers Elevator in Milnor, North Dakota, and in Petersburg, North Dakota. He was co-owner and manager of the Oakes Grain and Supply Company, Oakes, North Dakota, before retiring in 1975. After his retirement, George and Carrie moved to East Grand Forks, Minnesota. They lived in East Grand Forks until both moving to Larimore Good Samaritan Center in May of 2006. He was a member of Our Savior's Lutheran Church, East Grand Forks: charter member of the Petersburg Curling Club and a life time member of both the Fraternal Order of Eagles and Elks Clubs. George enjoyed fishing, traveling, being a loyal fan of the Minnesota, Twins, and spent many, many hours playing cards with his wife and family members. George is survived by his wife of 70 years, Carrie, Larimore, North Dakota: his daughter Yvonne (Elton) Magnus, Petersburg, North Dakota, and his son, George Wentzel Stavig, Crystal, Minnesota, three grandchildren: Loren (Julie) Magnus, Niagara, North Dakota; Jeanine (Russ) Brown, Colgate, North Dakota, and Douglas Magnus, Petersburg, North Dakota, nine great-grandchildren, one great-great granddaughter and several nieces and nephews. He was preceded in death by his parents, seven brothers, four sisters and one grandson, Greg Allen Magnus. Interment: Later this spring at the Granville Lutheran Church Cemetery, Rural Oslo, Minnesota. Ray A. Sjostrand, 72, of East Grand Forks, Minnesota, died peacefully Saturday, December 8, 2007 at home surrounded by his family after a courageous 6 month battle against cancer of unknown origin. Ray was born Feb. 24, 1935 in Hazelton Township, Kittson County, Minnesota, the son of Albin and Mabel(Holmgren) Sjostrand. He grew up in Kittson County and attended Lake Bronson School. He married Marlys Winters in Hallock, Minnesota, on September 7, 1952. He worked construction in the Lake Bronson area and then worked for Lancaster Midland Co-op. They moved to East Grand Forks in 1967 where he worked for Hastings Heating and for the Grand Forks Air Force Base. He worked for the Good Samaritan Nursing Center in East Grand Forks and then for Valley Lumber. He was a giving and caring man who was loved by everyone who knew him. He was passionate about many things including his love of gardening, woodworking, hunting, fishing, dancing, canning and baking just to name a few. He was a devoted husband, father, and grandfather who always put his family first. He was loved by many and will be missed by all. He is survived by his wife of 55 years of East Grand Forks; three children, Curtiss Sjostrand of Lancaster, Minnesota, Ronald (Dawn) Sjostrand, of Clearbrook, Minnesota, and Marla Rae (William) Uscensky of Minot, North Dakota; five granddaughters: Shaina, Kia, and Lani Sjostrand, Alison and Kaley Uscensky; two sisters, Jean Potrament of Lancaster, Minnesota, Ann Peterson of East Grand Forks, Minnesota; two brothers, Andy (Marian) Sjostrand, of Grand Rapids, Minnesota, and Glen (Phyllis) Sjostrand of East Grand Forks, Minnesota. He is preceded in death by his parents; a brother, Morris, and a sister, Doris. Services: 1:30 PM, Wednesday, December 12, 2007 at Our Savior's Lutheran Church, East Grand Forks, Minnesota. Burial: Riverview Memorial Garden Cemetery, Lancaster, Minnesota, in the Spring. Ruth Smart, 83, of East Grand Forks, Minnesota, went to be with the Lord on Friday, June 13, 2008. Ruth Elaine Johnson was born on August 4, 1924 to Elias and Anna (Carlson) Johnson in Northwood, North Dakota. Family moved to Honeyford, North Dakota, where she went to Hegton School. She graduated from Central High School in Grand Forks, North Dakota, in 1942. Ruth was married to William Ardell (Chinky) Smart on August 31, 1942. They made their home in East Grand Forks, Minnesota. Ruth worked many places in the Grand Forks area including, King of Spud, Rocket Taxi, Nodak Cab and she received her CNA Diploma from the East Grand Forks Technical College in 1983. Ruth went on to work for Polk County Nursing Services. She touched many families with her caring and love. Ruth was known by her many talents some of which were her intrest and love for her grandchildren and great-grandchildren, geology, quilting, fishing for the "Big One" traveling both in the United States and Sweden, sewing, playing Bingo and going with her many friends on the Casino Bus where she always had a story to tell. Ruth is survived by her children, Rowann (Ronald) Larson, Barbara (Marlow) Wolf, Susan (Randy) Moe, Richard (Marilyn) Smart all of East Grand Forks, Minnesota, Jill (Randy) Jenkins of Warren, Minnesota, and Lisa (Kevin) Lunski of Grand Forks, North Dakota. Ruth was also blessed with 15 grandchildren and 15 great-grandchildren. Ruth is also survived by her sister, Mae (Arnold) Amundson of Lakewood, CA, sisters-in-laws, Mary Beth Smart of East Grand Forks, Minnesota, and Eleanor Jewel of Bloomington, Minnesota. Ruth is preceded in death by her husband, William Ardell (Chinky), granddaughter Heidi Smart and grandson, Bill Wolf. Gladys Smette, 86, of East Grand Forks, Minnesota, and formerly of Newburg, North Dakota, died Saturday, July 26, 2008 at Altru Hospital, Grand Forks, North Dakota. Gladys Evelyn Thingstad was born October 30, 1921, near Minot, North Dakota, the daughter of Peter and Ella (Johnson) Thingstad. She attended country school at South Prairie and grew up working on the farm taking care of her brothers and sisters: Irwin, Perry, and Iver Thingstad, Pearl MacLennan, Charlotte Milligan and Prudence Wahlstrom. In 1941, Gladys moved to Minot and worked as a housekeeper and waitress. Gladys married Gordon Smette in Minot on May 27, 1945. After they were married they moved to California for a short time then moved to Newburg and managed the family grocery store. They resided in Newburg 60 years of their 63 years of marriage and raised three children: Rodney, Darryl and Darlene. They were active in the community, dedicating their time to building and caring for the Dovre Lutheran Church, the Senior Citizens Center and the whole community of Newburg. Gladys taught Sunday school, she was the secretary of the Management Board for the Senior Citizens Building for 21 years, and active in Sons of Norway and National Association of Retired Federal Employees (NARFE). She was a hard working Norwegian and enjoyed every minute of it. Gladys loved baking, bowling, gardening, dancing, canning vegetables, making lefse and other family favorites, taking care of family, and going to conventions and traveling with her husband. In 2005, Gordon and Gladys moved to East Grand Forks, Minnesota, and she continued her love of baking, gardening and caring for family. She is survived by her husband, Gordon; children: Rodney (Lois, deceased) of East Grand Forks, Minnesota, Darryl (Kathy) of Edmond, OK, Darlene Henning (Tom) of Dickinson, North Dakota, grandchildren: Rebecca (Eric) Egeland, Robert Smette, Laura (Chris) Arnold, Kecia Smette, Rachel (Colby) Edwards, Kimberly Smette, Marc (Jillian) Henning, and Leif Henning, and great grandchildren: Stasha and Geneva Henning, Rylan and Logan Egeland; a sister Pearl MacLennan of Indianapolis, IN; and several nieces and nephews. She was preceded in death by her parents, siblings Irwin, Perry, Iver, Charlotte, and Prudence, daughter-in-law, Lois, and an infant granddaughter. Gladys will always be remembered by family and friends for her generosity and giving spirit. She will be forever loved and forever missed. Roberta Ann Stengl was born on April 26, 1956 in Warren, Minnesota, the daughter of Dennis and Gladys (Myrfield) Anderson. Roberta grew up and attended school in Warren at Warren High School graduating with the Class of 1974. Following her graduation from Warren High School she went on and attended Akers Business College and then the University of North Dakota, graduating in 1985 in the Accounting Program. On April 30, 1975 she was united in marriage to Jim Stengl in Warren. Roberta worked for Quality Motors in Warren until 1982 and for the City of Warren before moving to East Grand Forks, Minnesota, in 1989. She worked for John Deere and The Bike shop in Grand Forks, North Dakota, for 8 years. In 1992 Roberta started Stengl Johnson Cruise & Travel with Bob Johnson, and also was Gaming Manager for East Grand Forks Blue Line Club until the time of her death. She served on the Warren City Council. She was a member of the Warren American Legion Auxiliary #27, Happy Hobbettes Craft Club, East Grand Forks Blue Line Club, Women in Networking, and served many years with the Sioux Boosters. She enjoyed travel, crafts, and spending time with family and friends. Loving family members of Roberta include her husband Jim of East Grand Forks, Minnesota, children, Matthew Stengl of East Grand Forks and Nicholas (Kristi) Stengl of Denver, CO; three grand dogs, Cooper, Chase and Bauer; siblings, Don (Susan) Anderson of Hallock, Minnesota, Debbie (Darrell) Robinson of Fort Smith, AK, Cheryl (James) Novak of Tabor, Minnesota, Virlynn (Pete) Hanson of Warren, Minnesota, Ron (Jill) Anderson of Warroad, Minnesota, and Jon (Patti) Anderson of Evansville, WI; in-laws: Shirley (Doug) Minnick; Richard (Nancy) Stengl; and Carolyn (Don) Matz; three foreign exchange students: Riccardo Vincis, Masainis, Italy; Maren Hatlestad, Haugesund, Norway; Bastian from Germany along with many nieces and nephews. Visitation: Thursday, May 16, 2013 in Our Savior's Lutheran Church and also 1 hour prior Funeral Service on Friday. Evelyn Shull, 88, of East Grand Forks, Minnesota, died Sunday, January 31, 2010 at the Altru Hospital, Grand Forks, North Dakota. Evelyn Shull was born December 7, 1921 in Hoytville Township, Ohio, the daughter of Henry and Dova Dishong. She grew up and attended school in Hoytville, Ohio. She worked as a trained practical nurse in Lima, OH. She married Robert Kline in 1945 in Lima OH. Robert died from TB which he contracted during the war. She married Lawrence Shull in 1947. They moved to Ardmore, OK and then moved to Evansville, WI. They moved to Milwaukee, WI until their retirement when they moved back to Ardmore, OK until Lawrence's death in 2006. She then moved to East Grand Forks. She is survived by a daughter Barbara (Larry) Roth of East Grand Forks; a son Gary (Sharon) Shull of Rockford, IL; five grandchildren; and three great-grandchildren. She was preceded in death by her parents and both husbands. Services: 2:30 P.M., Thursday, February 4, 2010 at the Stennes Funeral Home Chapel, East Grand Forks, Minnesota. Ardmore Cemetery, Ardmore, Oklahoma; at a later date. Sylvia E. Skavlem, 91, of Larimore, North Dakota, and formerly of East Grand Forks, Minnesota, passed away on Friday, February 12, 2010 at the Good Samaritan Nursing Home in Larimore, North Dakota. Sylvia Evelyn Johnson was born on April 21, 1918 in East Grand Forks, Minnesota, the daughter of Charles and Mary (Erickson) Johnson. Sylvia grew up and attended school in East Grand Forks, Minnesota. On September 16, 1936 she was united in marriage to Arthur A. Skavlem in East Grand Forks, Minnesota. Sylvia worked for area farmers and also for the North Dakota, School for the Blind in Grand Forks, for numerous years, and for American Crystal Sugar Co. in East Grand Forks from 1968 to 1978. Sylvia is survived by two daughters, Lois (Matthew) Bubb of Duluth, Minnesota, Janice (Milton) Kleven of Battleground, WA, 2 sons, Marvin Skavlem of Fordville, North Dakota, and Gary (Lorna) Skavlem, of Fargo, North Dakota, 15 Grandchildren, 35 great grandchildren, 2 great-great grandchildren and one brother Vernon Johnson of East Grand Forks, Minnesota. She is preceded in death by her parents; husband Arthur Skavlem on April 25, 2001, 4 brothers: Clarence, Henry, Charles and 4 sisters: Bertha, Judith, Millie and Viola. In Lieu of Flowers, memorials are prefered to Bethany Lutheran Church. Ronald F. Smith, 63, of East Grand Forks, Minnesota, passed away after a long illness surrounded by his loving family on Sunday, May 2, 2010 at Altru Hospital, Grand Forks, North Dakota. Ron was born on April 17, 1947 in Wilkes-Barre, PA the son of Stanley and Sandra (Slaviski) Zakaravicz. Ron grew up and attended school in Wilkes-Barre graduating in 1965. After high school he enlisted in the US Air Force and served in Vietnam. When Ron was stationed at the Grand Forks Air Force Base he met Carol Jenzer and they were married on March 15, 1969. Upon his discharge from the Air Force they moved to Columbus, OH and Ron worked for several finance companies in various states. Ron and Carol had three children and moved to East Grand Forks, Minnesota. Ron worked for the Minnesota, State Department of Veteran Occupational Program for 20 years. He loved fishing, his computer and taking care of his family and kitty. Ron is survived by his wife: Carol, East Grand Forks, Minnesota; daughter: Stephanie, Orlando, FL; son: Christopher, East Grand Forks, Minnesota, brother Richard (Jeanette) and sister Dresden both of Wilkes-Barre, PA. He is preceded in death by his daughter: Stacy; parents: Stanley and Sandra; in-laws: Herman and Ina Jenzer. Memorial Service: Friday, May 7, 2010 at Our Savior's Lutheran Church, East Grand Forks, Minnesota. Pauline "Polly" Stennes, 85, of East Grand Forks, Minnesota, died Thursday, May 27, 2010 at the Edgewood Vista Center, East Grand Forks, Minnesota. Polly was born on September 27, 1924 in Cooperstown, North Dakota, the daughter of Carl "Charley" and Julia (Morberg) Sutter. She graduated from Cooperstown High School and married Kenneth Stennes on September 7, 1947 in Cooperstown, North Dakota. As Ken worked for the railroad they lived in Hannaford and West Fargo, North Dakota. They moved to Drayton, North Dakota, in 1962 where she and Ken owned and operated Stennes Furniture. In 1973 they moved to East Grand Forks, Minnesota, and purchased Stennes Funeral Home from Lars Stennes. She enjoyed working funerals and helping families until retiring in 1989. Her husband Ken died on June 2, 2002. Polly very much enjoyed church activities and had a hand in making 100's of quilts with the church women. In later years she also enjoyed painting pictures. Polly is survived by her children; Tom (Judy) Stennes of East Grand Forks, Minnesota, Jane (Dave) Binger of Little Falls, Minnesota, Jacky (Doug) Kummer of West Fargo, North Dakota, Leigh (Storme) Stennes of Becker, Minnesota, 10 grandchildren, 6 great grandchildren, a brother; Wesley (Mary Ann) Sutter of West Allis, WI, and a sister; Marvis Weiser of Fargo, North Dakota. She is preceded in death by her husband Ken, sisters; Wilmina Monson, and Lee Almen; brothers Kenneth and Orlin Sutter, 4 infant siblings and twin great grandsons. Hilma Streich age 84 passed away on Wednesday, December 15th, 2010 at Altru Hospital in Grand Forks, North Dakota. Hilma Loken Streich was born on January 4, 1926 in Dahlin, North Dakota, the daughter of Martin and Ingeborg (Dahl) Loken. Hilma was raised in Walsh County, North Dakota, and graduated from Dahlin High School. Hilma married Reuben Gilbertson in Fordville, North Dakota. She attended Mayville State College and received a Bachelor of Science Degree. She taught 16 � years in rural North Dakota, Schools including Lakota and Dahlin. She also taught school in Thief River Falls, Minnesota, before moving to East Grand Forks, Minnesota, in 1960. She married Glenn Streich on November 14, 1970 in East Grand Forks, Minnesota. Hilma taught one year at Wilder Elementary and 26 years at Lake Agassi in Grand Forks, North Dakota, before retiring in 1990. Besides her career in teaching, Hilma was a gifted musician entertaining at the piano, drums and accordion for years. Hilma played with the "Gay Lites Band" for 25 years and also "The Royal Pace Setters Band" and was the drummer of the all girl "Ranchos Band" in Mesa, AZ. Hilma was active in the East Grand Forks Eagles Auxiliary, American Legion Auxiliary where she served as Unit President from 1986 to 1989 and District President in 1995, the VFW Auxiliary where she served as President from 1981 to 1983. Hilma was a volunteer at the Grand Forks Senior Center and played the piano at the East Grand Forks Senior Center along with being a member of the Heritage Center in East Grand Forks, Minnesota, and being active in Our Savior's Lutheran Church. Hilma resided in East Grand Forks, Minnesota, and spent 10 winters in Mesa, AZ. Hilma is survived by her 2 children, Delray Gilbertson of Rochester, Minnesota, and Delayne (Dave) Schneider-Paloma of Phoenix, AZ, grandchildren, Adam, Zachariah, Haley, Tanner and Ryan, great-grandchildren, Alexis and Cage. Hilma is preceded in death by her parents and husband Glenn Streich on July 5, 1998; two brothers, Merlin and one in infancy, a sister Elverna and step-son Clarence. Tony Randall Stauss passed away on Thursday July 28, 2011 from complications associated with diabetes. Tony was born on April 15, 1961 in Grand Forks, North Dakota, the son of Albert and Ethel (Anderson) Stauss. He grew up in East Grand Forks, graduated from East Grand Forks Senior High School, and earned a degree from Staples Technical School in heavy equipment operations. He was employed at the time of his death by Hampton Corporation in Grand Forks as the principal grounds supervisor. Tony touched many people throughout his life and was well liked for his eagerness to always lend a hand, generous demeanor, and colorful personality. Family was very important to Tony, particularly his two daughters and four grandchildren, whom he was always talking and boasting about with great pride and happiness. Tony was a member of the Red River Masonic Lodge #292, and very active in the KEM Shriner's of Grand Forks, was a sports fanatic, loved his annual role as Santa Claus for various events, get-together's at the family lake home at Grace Lake, and was enthusiastic about his job and employees. Tony lived his entire life in East Grand Forks and is survived by his mother, Ethel (Mrs. Albert) Stauss, two daughters, Christine (Mrs. Dave) Heimark of Minneapolis, Courtney (Mrs. Jeremy) Weber of Bemidji, Minnesota, four grandchildren, Brody, Paige, Henry, and Ruthie; brothers Larry (Virginia), Dale(Cheryl), Lynn (Marjorie), and Dan (Sherryl), of East Grand Forks and Grand Forks; two sisters, LaRae of Minneapolis, and Paula (Mrs. Jim) Mandel of Minneapolis. He was preceded in death by his father, Albert, in 1994. Services will be held at Our Savior's Lutheran Church in East Grand Forks on Tuesday August 2 at 2:00 PM, with a prayer service on August 1 from 5-7 PM. In lieu of flowers, the family is requesting that any donations be sent to the American Diabetes Association in Memory of Tony R. Stauss. Checks may be sent to: 15816 Pool Lake Road, Bemidji, Minnesota, 56601. A donation bowl will also be available at the services. Funeral Service: 2:00 PM, Tuesday, August 2, 2011 at Our Savior's Lutheran Church, East Grand Forks, Minnesota. Carl E. Storey, age 57, of East Grand Forks, Minnesota, passed away on Sunday, January 8, 2012 at his home. Carl Edwin Storey was born in Grafton, North Dakota, on December 17, 1954, the son of Walter and Helen (Perius) Storey. Carl grew up in the Reynolds and Buxton, North Dakota, area. He attended Hoople Elementary and Central Valley High School, where he lettered in basketball and later attended the Area Vocational Technical Institute in East Grand Forks, Minnesota. Carl worked for Crookston Lumber, New Flyer of America and Dahlgren Seed Company in Crookston. He was also employed with ICS. On October 26, 1991 he was united in marriage to Karen Bakken in East Grand Forks, Minnesota. To this union 2 children were born. Carl enjoyed classic cars, fishing, camping and spending time with his children. Family members who survive Carl include his children Tiffany and Shane Storey both of Grand Forks, North Dakota, and one granddaughter, Kaci Ness also of Grand Forks; siblings, Tom Storey of San Jaun Capistrano, CA, Terry (Camille) Storey of Lakeville, Minnesota, John Storey of Monroe, MI, Edward (Sue) Storey of Fargo, North Dakota, Richard Storey of Grand Forks, North Dakota, Phyllis (Daniel) Hoffman of Maybee, MI, Anna Olson of St. Paul, Minnesota, and Judy (Richard) Manning of Laguna Woods, CA. Carl was predeceased in death by his parents; 3 brothers, Michael, Walter Jr. (Butch) and James Storey. Eileen Hazel Olson was born was born September 3, 1928 in Newfolden, Minnesota, to Olaf and Agnus (Haugen) Olson. She Graduated from Newfolden High School. Eileen married Clarence Storbakken on January 18, 1947 in Oslo, Minnesota. They made their home in Bygland Township, 11 miles south of East Grand Forks, where they raised their five children. She worked St. Michael's Hospital, Valley Memorial Home, and later Simplot, when she retired. She was a wonderful cook and enjoyed it. She loved her gardens and could make them bloom. She had a green thumb for plants and flowers both indoor and outdoor. She worked hard on the farm all her life and also worked outside the home. She was a loving mother and grandparent. She loved her collection of dolls, rooster figurines, and all her knickknacks. She also loved her dogs. Surviving Eileen are two sons, Richard Storbakken, of Fargo, North Dakota, Terrance (Tami), East Grand Forks; daughters, Suzanne (David) Hammond, Fowler, California, Deborah Burke (Terrance Moleski), East Grand Forks; 19 grandchildren; 33 great-grandchildren; and one great-great-granddaughter. Preceding her in death were her parents; her husband Clarence in 2010; her son Lowell in 1979, two grandsons, Chad and Mathew; her brothers, Marvin and Vernon Olson; and a sister, Delores Jones. 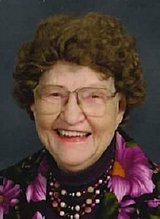 Celestia Stallmo age 93 of East Grand Forks, Minnesota, passed away on Saturday, January 5th, 2013 at Edgewood Vista in East Grand Forks. Celestia was born on September 9, 1919, Grand Forks, North Dakota, the daughter of Tollef and Theresa (Powers) Kjorvestad. She grew up in Thompson, North Dakota, and moved to East Grand Forks in 1939. Celestia married Melvin Stallmo on March 20, 1938 in Fisher, Minnesota. Melvin died on June 13, 1982. Celestia worked on area farms, Blacks Bakery and the National Tea Store. Celestia was an active member of Our Savior's Lutheran Church. Her faith and her church were a very important part of her life. Celestia and Melvin became members of Our Savior's Lutheran Church on March 21, 1948. Celestia also belonged to the Good Samaritan Auxiliary and the Eagles Auxiliary. She played in several card groups. Celestia attended many activities that her grandchildren and great-grandchildren were involved in. A special thanks to Doctor Ryan and the staff at Edgewood Vista. She is survived by her son; Richard (LoAnn) Stallmo of East Grand Forks, Minnesota, Grandchildren; Wayde Stallmo, Jean Ann (Dacian) Bienek, Great Grandchildren; Shantay, Aleah, Lillie, sister, Theresa Jarombek of Parkville, Missouri, and a brother, Robert Kjorvestad of Waynesville, Missouri. She was preceded in death by her parents, husband, two sisters, Donna and Letriece, four brothers, Francis, Donald, John and an infant. The family respectively asks that memorial be designated to Our Savior's Lutheran Church. 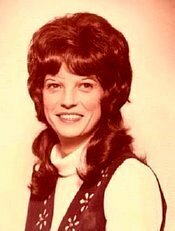 Lois Stieg age 74 of East Grand Forks, Minnesota, passed away on Thursday, January 24th, 2013, at her home. Lois Jean Anna Stieg was born on July 5, 1938, in Loretto, Minnesota, the daughter of Alex and Anna (Hohenstein) Lieder. On May 13, 1956 she was united in marriage to Willard Stieg in Loretto, Minnesota. Lois joined her husband and traveled around the United States and other overseas countries while Willard was in the United States Air Force. For the last 29 years they resided in East Grand Forks. For 12 years, Lois volunteered in many facets at River Heights Lutheran School and participated in several activities at River Heights Lutheran Church where she was a devoted member, treasurer of the ladies guild, and head of altar guild for over 20 years. Loving family members of Lois include her husband Willard of East Grand Forks; children, Julie (William) Renner of Spanaway, WA and Richard (Stacey) Stieg of Holland, MI; nine grandchildren and nine great-grandchildren; brother, Willard (LaVerne) Lieder of Rockford, Minnesota; sister-in-law, Mildred Hackler of Pine City, Minnesota, and brother-in-law, Edward Stieg of Elk River, Minnesota, along with many nieces and nephews. Lois is predeceased in death by her parents; son, Robert Stieg on January 15, 2006 and two infant daughters, JoAnn and Joyce Stieg. Doris Schulz, 88, of East Grand Forks, Minnesota, died Saturday, June 8, 2013, at her home. Doris Schulz was born March 15, 1925 in Hatton, North Dakota, the daughter of Ole and Mary (Hanson) Vik. She grew up near Hatton and graduated from Hatton High School. She married Loyd Schulz in East Grand Forks, Minnesota, on June 7, 1953. She was a loving, Christian homemaker her entire life. She is survived by four children: Paulette (Laddie) Novak of Grand Forks, Darrell Schulz of East Grand Forks, Larry and Tim Schulz both of Grand Forks; by six grandchildren; by four great-grandchildren; and by a niece. She is preceded in death by her parents; her husband Loyd, on January 26, 2009; six brothers and by four sisters. Michael John Stauss, 63, of Grand Forks, North Dakota, passed away surrounded by his loved ones at Altru Hospital on March 30th 2013 from a Heart Attack. While employed at A.C.S. he met and married the love of his life Katherine "Katie" Anders on August 15th 1987, in Hawley, Minnesota. Michael was an avid sportsman who enjoyed fishing, hunting, golf, softball, and watching sports on TV. Some of his most favorite memories are from hunting and fishing trips taken with family and friends. People were naturally drawn to him because of his great sense of humor, knack for storytelling, memorable smile, and his distinct laugh. Michael is survived by his wife Katie; Children: Travis (Katie) Stauss, Jeremy Stauss, Chelsea (Mike) Gavere, Justin Stauss, Jacob Stauss; Grandchildren: Dillon, Hunter, and Rylee; Siblings: Linda (Bill) Neuerburg, Marge Eider, Karen (Dennis) Schiller, Patty (Brian) Burton, Wayne Stauss, Joe Stauss, and Jan (Lenny) Yanish; many nieces and nephews; First wife and family friend Catherine Vacura; Special pets: Ni Ni Moushea "Moo" and Ani. Michael was preceded in death by his daughter Bridgette Lee, nephew Cory Eider, parents Walter and Donna, and stepfather Norman Heskin. Michael was able to enhance the lives of others by being a donor. In Lieu of flowers the family respectively asks that memorials are preferred. 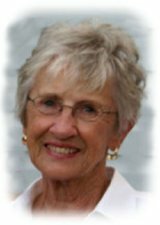 Patricia A. Surprenant, age 76, of East Grand Forks, Minnesota, passed away on Saturday, May 25, 2013, at Altru Hospital in Grand Forks, North Dakota. Patricia Ann Surprenant was born on February 14, 1937 near Warsaw, North Dakota, the daughter of Steve and Helen (Gudajtes) Paschke. Patricia grew up and attended school in Warsaw. On December 9, 1954 she was united in marriage to Roy Surprenant. She worked for A & B Cab Company in East Grand Forks as a dispatcher for a number of years. Family members of Patricia include her husband Roy of East Grand Forks, MN; children: Tim (Deborah) Surprenant of Waco, TX, Tony Surprenant of East Grand Forks, Minnesota, Daniel (Jan) Surprenant of Grand Prairie, TX, Susan Surprenant of Hettinger, North Dakota, Roger Surprenant of Mesa, AZ, Richard "Chopper" Surprenant of Reeder, North Dakota, and Denise (Alan) Pruett of Pawnee, IL; 13 grandchildren; 13 great-grandchildren; two brothers, Alex Paschke and Richard (Joyce) Paschke both of Thompson, North Dakota. Patricia was preceded in death by her parents; a brother, Vernon Paschke; and a son, Gerald Surprenant, on December 5, 2012. Charlotte Szymanski, 66, of East Grand Forks, Minnesota, died Saturday, September 14, 2013 at her home. As requested by Charlotte, no funeral services will be held. AlDon Jarl Stavig was born on August 22, 1926, in East Grand Forks, Minnesota, the son of Albert and Irene (Eggen) Stavig. AlDon grew up and attended school in East Grand Forks. He joined the United States Navy and served during WWII in the Pacific. On May 20, 1977 he was united in marriage to Wanda (Hjelmstad) Homer in East Grand Forks. Sadly on November 1, 1997 Wanda passed away. AlDon worked for Nodak Sales in Grand Forks before retiring from there in 1988. AlDon was a faithful member of Our Savior's Lutheran Church, East Grand Forks, where he ushered for many years. He was a member of the East Grand Forks VFW and American Legion. AlDon is predeceased in death by his parents; wife Wanda; sisters, Joanne Fasset and Dulcie Stavig; two nieces, one nephew and brother-in-law Bob Spencer. AlDon is survived by Wanda's children, Mick (Janice) Homer of Panama City, FL, Linda (Mark) Fagerholt of Hoople, North Dakota, and Pam Blue of Grand Forks, North Dakota; nine grandchildren; 11 great-grandchildren; a sister, Jean Spencer of Walnut Creek, CA; nieces, Lynn and Sydney Spencer; Heidi (Howard) Bishop and a God-daughter, Susan Abel Akerlind. In lieu of flowers, memorials are preferred to Our Savior's Lutheran Church or Tufte Manor. Charles "Chuck" Roger Sampson, age 58 of East Grand Forks, Minnesota, passed away on Wednesday, January 8, 2014 at the Woodside Village, Grand Forks, North Dakota. Chuck was born on January 29, 1955 in Winton, Minnesota, the son of Robert and Agnes (Puzel) Sampson. He grew up in Ely, Minnesota, and graduated from Hoyt Lakes High School in 1973. He enlisted in the United States Air Force on March 24, 1975 and served honorably until his discharge on September 24, 1982. Chuck then worked as a correctional officer for Grand Forks County until his health forced him to retire in 2006. Chuck was married to Nancy Olien on November 18, 1988 in Fargo, North Dakota. Chuck was formerly active in the Kem Temple Drum and Bugle Corp and the East Grand Forks Masonic Lodge. He will be fondly remembered for being a very accomplished drummer as well as for his vivid sense of humor. Chuck is survived by his former spouse and dear friend, Nancy Olien of East Grand Forks, Minnesota, and siblings Veronica (John) Johnson of Hoyt Lakes, Minnesota, Robert Sampson of Ely, Minnesota, and Albin Jandrey of Ely, Minnesota. Preceding him in death were his parents as well as siblings, Joanne Korpi, Dorothy Kurth, Richard Sampson, and Rudy Sampson. Andrew "Bud" Skavlem, 85, of Grand Forks, Minnesota, passed away on Sunday, February 16, 2014 at Valley 4000, Grand Forks, North Dakota. Bud was born on April 25, 1928 in rural East Grand Forks to Arnold and Annie (Hanson) Skavlem. Andrew served in the U.S. Navy and was a veteran of World War II. On August 18, 1949 he married Rose LaFave, who passed away February 9, 1992. Together they raised nine children. Bud worked for Hanson Maves and later moved to Gilby, North Dakota, where he worked for the Ryan Potato Company for 21 years. Bud was also a lifetime member of the American Legion Post #157. Bud spent many weekends in his life camping and fishing with his family and friends at Devils Lake. Bud lived at Tufte Manor for four years and had recently moved to Valley 4000. He really enjoyed playing cards and visiting with friends and family. He always had a story to share. Everyone will remember him for his great sense of humor and his love for Oreos. Bud is survived by his children; sons, Charles (Monica) Skavlem, Gene Skavlem, Glenn (Veronica) Skavlem all of Grand Forks; daughters, Carol (Wayne) Edvall of East Grand Forks, Jan (Tim) Desautel of Grafton North Dakota, Judy Skavlem, Myra (Mark) Kuhn of Grand Forks North Dakota, Darla (Jay) Deal of Austin TX, and Jody (Harry) Burns of Rolla North Dakota; sisters, Mable Gunderson of Kent WA, Gladys Filipi of East Grand Forks Minnesota; 27 grandchildren, 37 great grandchildren and 2 great-great grandchildren. He is preceded in death by his wife of 43 years, parents, two sisters, four brothers, granddaughter Karlie Rose and special friends Joyce Mathues and Mavis Thompson. Darlene Selk, 79, of East Grand Forks, Minnesota, died Thursday, April 19, 2012 at the Edgewood Vista Center, East Grand Forks, Minnesota. Darlene Selk was born December 13, 1932 in Rugby, North Dakota, the daughter of R. Earl and Eleanor (Babcock) Green. She grew up in Towner, North Dakota, and graduated from Towner High School. She graduated from Minot State College with a teaching certificate. She attended the University of North Dakota, graduating with a bachelor's degree in Education. She married Larry Selk in Minot North Dakota, on August 22, 1954. Darlene taught school in Fisher, Minnesota, for many years and was a longtime member of Our Savior's Lutheran Church of East Grand Forks. She is survived by daughter Debbie (Tony) Palmiscno of East Grand Forks, Minnesota, 2 sons, Scott Selk of East Grand Forks, Minnesota, Todd (Kristi) Selk of Spokane, WA, 9 grandchildren, Tyler (Haley) Palmiscno, Gina Palmiscno, Betsey (Jordan) McIntyre, Michael Palmiscno, Trevor Selk, Dylan Selk, Devon Holmes-Selk, Ciera Holmes-Selk, and Eian Holmes-Selk, and 2 brothers, James (JoAnn) Green of Savage, Minnesota, and Donald (Myrna) Green of West Fargo, North Dakota. Darlene was preceded in death by her husband, Larry, on March 5, 2005, and her parents. 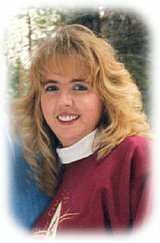 Tracy Solem, 46, of Grand Forks, North Dakota, passed away on Monday, March 26, 2007 in St. Mary's Hospital in Rochester, Minnesota. Tracy Solem was born on September 6, 1960 in Grand Forks, North Dakota, the son of Elton and Irene (Gonsorowski) Solem. Tracy grew up in East Grand Forks, and attended East Grand Forks, Senior High School. He moved to Oslo, Minnesota, with his parents and graduated from Valley North High School in 1979 in Oslo, Minnesota. While in Olso, he worked at his parent's cafe. He moved to Arizona where he worked with Arizona Wranglers and Memphis Showboats as Assistant Equipment Manager. Tracy returned back to Grand Forks, North Dakota, in 1986 where he was Head Equipment Manager for the University of North Dakota, Football. From 1991 to 1992 he worked for the Orlando Thunder of the World League of American Football. 1994 to 1995 he worked for the Baltimore Stallions of the Canadian Football League which took the "Grey Cup Champs" in 1995. 1996 to 1997 he worked for Dusseldorf Rhein Fire in Germany of the World League International. On February 14, 1997 he was united in marriage to Blanca Otero in Oslo, Minnesota. In 1998 he started working in the Sports Department of Home of Economy and was employed there until the time of his death. Loving family members include his wife Blanca of Grand Forks, North Dakota, children; Elizabeth and Jackie Solem who were the love of his life and reside at home in Grand Forks, North Dakota. Three brothers; Kevin (Carol) Solem of Grand Forks, North Dakota, Clark Solem and Robin (Paulla) Solem both of East Grand Forks, Minnesota, one sister; Elta (Kenneth) Stalboerger of New London, Minnesota, and two nieces and seven nephews. Tracy is preceded in death by his parents and mother-in-law Maria Otero. Dorothy "Dot" Sehler, 86 died Friday, May 9, 2008 at the Villa St. Vincent Nursing Center, Crookston, Minnesota. Dorothy M. Sehler was born July 11, 1921 in Grand Forks, North Dakota, the daughter of Gordon and Lillian (Bushee) Bridgeford. She grew up in the Bygland area and in 1936 moved with her family to the farm north of East Grand Forks. Dorothy graduated from Sacred Heart High School. She married Jerome Greenwood in November of 1940 in East Grand Forks, Minnesota. Jerome died in 1956. She married Russell Sehler December of 1959 in East Grand Forks and Russell died in 1967. Dot was one who made her house a home for you. She would enjoy entertaining you with her flower gardens, her hospitality and warmth. She is survived by children; Terry (Donna) Greenwood of East Grand Forks, Minnesota, Rochelle Greenwood of Combermere, Ontario, Canada, Barton (Chris) Greenwood, of Golden Valley, Minnesota, Cathy (Joe) Teig of Jackson, WY, Charles Sehler, of East Grand Forks, Minnesota, and Barbara (Bill) Cook of Valley City, North Dakota, 12 grandchildren, 9 great grand children, 3 sisters, Joyce (Ray) Stocker, of East Grand Forks, Minnesota, Colleen (Neal) Hoff-Neale of East Grand Forks, Minnesota, Monty (Mel) Peterson of LaCrosse, WI, and a brother Pat (Eleanore) Bridgeford of East Grand Forks, Minnesota. She is preceded in death by her parents, 2 husbands, 1 sister Jeanne and 2 brothers, Doug and Robert. Lois Ann (Dalton) Segovia, 67, of East Grand Forks, Minnesota, passed away on Sunday, February 23, 2014 at her home. Lois was born on June 29, 1946, in Washington, D.C., to the late Sidney and Lucille (Saunders) Dalton. She grew up and attended school in Alta Vista, Virginia. She then worked for Phillip Morris Company in Alta Vista, Virginia and Richmond, Virginia. She married Moises "Chico" Segovia in Camden, NC on April 25, 1969. They moved to East Grand Forks, Minnesota, in 1972. She worked at C and R Cleaners and Laundry as a seamstress for many years. Lois is survived by her husband, Moises Segovia of East Grand Forks, Minnesota; father, W.E. Dawson of Alta Vista, VA; siblings, Sharon (Donald) Chappell of Richmond, VA, Kenneth (Kay) Dawson of Gladys, VA, and Riley (Joyce) Dawson of Gretna, VA; and one granddaughter, Tiffany Dawson, of Alta Vista, VA. She was preceded in death by her mother. 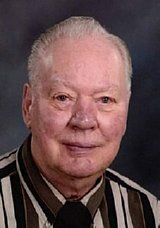 Harold Sandbeck of East Grand Forks, Minnesota, died Sunday, September 9, 2007 on his 94 birthday at the Valley Memorial Home, Woodside Village, Grand Forks, North Dakota. Harold H. Sandbeck was born September 9, 1913 in East Grand Forks, Minnesota, the son of Henry and Elizabeth (Berg) Sandbeck. He grew up in East Grand Forks. He served his country during WWII with the 819th Bomb Squad. He worked for Earl Enright Oil Company as a fuel truck driver his entire life until his retirement. He is survived by a sister-in-law, Wanda Sandbeck, of East Grand Forks, and by many nieces, nephews. He was preceded in death by his parents; one brother, Kenneth; three sisters, an infant sister Gladys Sandbeck, Wilda Larsen, Lorraine Guttu; and by a niece, Linda Mero. Harold was a gentle and kind man who loved old cars and western movies. He will be greatly missed by his family and friends. Funeral Service: Wednesday, September 12, 2007 at the Sacred Heart Catholic Church, East Grand Forks, Minnesota. Stacy Smith, 29, of Clermont, Florida, formerly of East Grand Forks, Minnesota, passed away Saturday, June 28th, 2008 at Florida Celebration Hospital in Orlando, Florida with her loving family at her side. Stacy was born August 14th, 1978 in Waterloo, Iowa; the daughter of Ron and Carol (Jenzer) Smith of East Grand Forks. She graduated from East Grand Forks Senior High in 1996. She continued her education while attending U.N.D. ; while going to school, she also worked at Altru Hospital and Clinic in Grand Forks, North Dakota. She moved to Florida in 2004; she worked as an Administrative Assistant at the Patterson Medical Clinic in Orlando, Florida. Stacy is survived by her parents; sister Stephanie of Orlando, FL, and brother Christopher of East Grand Forks; also a special friend, Jay, of Clermont, Florida. She is also survived by several aunts, uncles, and cousins. Stacy loved the beach, sun, and her kitties. Everyone she met was embraced by her caring & compassionate heart, and her beautiful smile. She loved music and karaoke was one of her favorite ways to express that love. She will be truly missed by her family and all her wonderful friends. Lillian Ardell Swanson, 98, of Grand Forks, North Dakota, died on Sunday, October 12, 2008 at Valley Eldercare, Grand Forks, North Dakota. Lillian Pietrezak was born on August 22, 1910 in rural Oslo, Minnesota, the daughter of Mike and Josephine (Kosmatka) Pietrezak. She grew up in rural Oslo and attended school in rural Oslo. She married Arnold Swanson on February 21, 1938 in Warren, Minnesota. They moved to East Grand Forks, Minnesota, where she worked for Old Dutch Potato for many years and numerous potato farmers in the Oslo and Grand Forks area. Lillian is survived by one brother: Chester (Marge) Pietrezak, Minneapolis, Minnesota; one sister: Florence Bozowski, Crookston, Minnesota; five grandchildren; eleven great grandchildren; and nine great-great grandchildren; She is preceded in death by her parents; husband; daughter: Lila Mae Hallick; great grandson: DeShawn Johnson; brothers: Henry, Walter, Stanley, Adolph, Joe, and Mike; and sisters: Helen, Mary, Josie, Tillie, Francis, Stella, and Minnie. A. Luella Storey, 98 of East Grand Forks, Minnesota, passed away on Saturday, April, 18th, 2009 at the Valley Eldercare Center in Grand Forks, North Dakota., where she had made her home since May 22, 2003. Luella, daughter of Annie (Adair) Blue and Hugh Blue was born January 5, 1911. They lived on a farm near East Grand Forks, Minnesota, and attended school at Pleasant View. Luella married Dewey Storey on July 30, 1930. She cared for children at the Y Family Center Nursery and in 1962 she joined the Foster Grandparent Program to work with children there until retiring in 1983. Luella's greatest hobby was croqueting as well as her love for music, keeping pictures in books and being with families and love of children. Luella had a strong faith and lived by her faith as an example to other people. She was a member of Mendenhall Presbyterian Church of East Grand Forks, Minnesota. Luella is survived by her daughter Marlys (Bob) Peterson of East Grand Forks, Minnesota, two sons: Harlan (Darlene) Storey of Mesa, AZ and Robert (Lois) Storey of Fosston, Minnesota; 15 grandchildren; 29 great-grandchildren and 9 great-great-grandchildren. She is preceded in death by her parents; husband Dewey Storey; two brothers: Leonard and Edward Blue and a stepdaughter Dorothy Crawford. DISCLAIMER -- Many of the obituaries from these funeral homes were defective in several ways. Punctuation was marginal, burial locations were often missing, and other errors were all too common. We have struggled to transcribe them as well as possible and correct as many problems as could be done.